Led by the latest Cadillac user experience, the brand’s most advanced infotainment interface, the XT4 offers a connected environment. 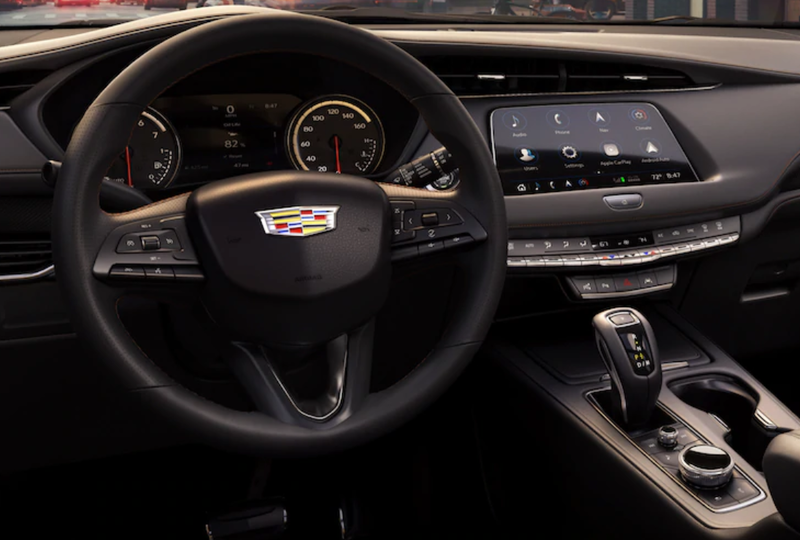 The Cadillac user experience is a dynamic platform that offers a smartphone-like experience with an intuitive interface, faster response and improved voice recognition that can be updated over time to meet a customer’s evolving connectivity needs. It leverages the cloud and available embedded 4G LTE connection to enable personalization, available connected navigation and news, marketplace and entertainment applications via the app store and a new rotary controller that offers users alternative ways to interact with the system. Near-Field Communication, a Cadillac-first integration, greatly improves the process of pairing a phone (if compatible) with Cadillac user experience. Next-generation, 15-watt wireless charging is available and offers faster charging timesi . There are four standard USB Ports and three 12-volt accessory power outletsii. Models equipped with the available navigation radio also receive an SD memory card reader in the center console. The full suite of active safety features includes Surround Vision and second-generation Rear Camera Mirror (available)iii.